Waverly PreK-8 School is a multi-phased, 3 story 130,000 square foot building including an 11,000 square foot underground parking garage. 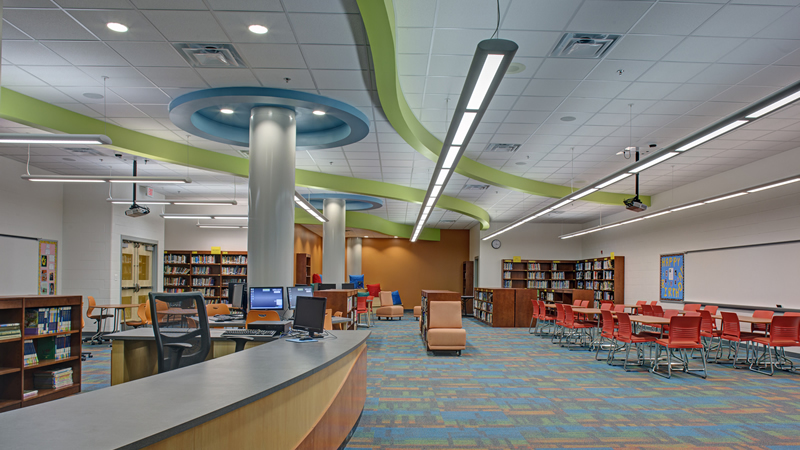 This LEED Silver Project was the first new Baltimore City School built in decades. Special LEED features included a green vegetative roof, sunshades, extensive use of natural lighting, and high efficiency building systems. Post bid, CAM was requested to add Solar Panels to the facility, and in a design build delivery, ultimately chose to utilize roofs on both Phase 1 & 2 structures to optimize exposure. The school houses an extensive media center, and a three story feature atrium entry which separates the cafeteria/auditorium and kitchen for community uses.